The Sikała / Lemanczyk / Hornby project is a unique acoustic trio, fusing elements from the contemporary jazz worlds of both Europe and North America. It was a fortunate set of circumstances that brought this international trio of world class musicians together. Based in Canada, drummer Tyler Hornby had a friend drop a CD to a club owner in Poland. The club owner was so impressed with what he heard, he passed the album along to a musician in Poland. In turn, the Polish musician liked his playing so much, next thing he knew, Tyler was on a plane to Europe. Enter top Polish saxophonist Maciej Sikała, and bassist Piotr Lemańczyk, and the rest is history. Put together onstage in Europe, this trio of musicians found an instant musical connection that has endured since. Bringing their spirited playing, virtuosic musicianship, and beautiful composition together, the trio has been in high demand in Europe. 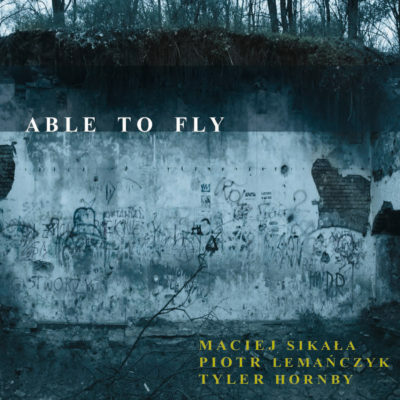 Having played various festivals and concerts in Northern Europe including the Krakow Jazz Festival, they are extremely pleased to bring their new album ‘Able to Fly’ across the Atlantic Ocean to audiences in North America.